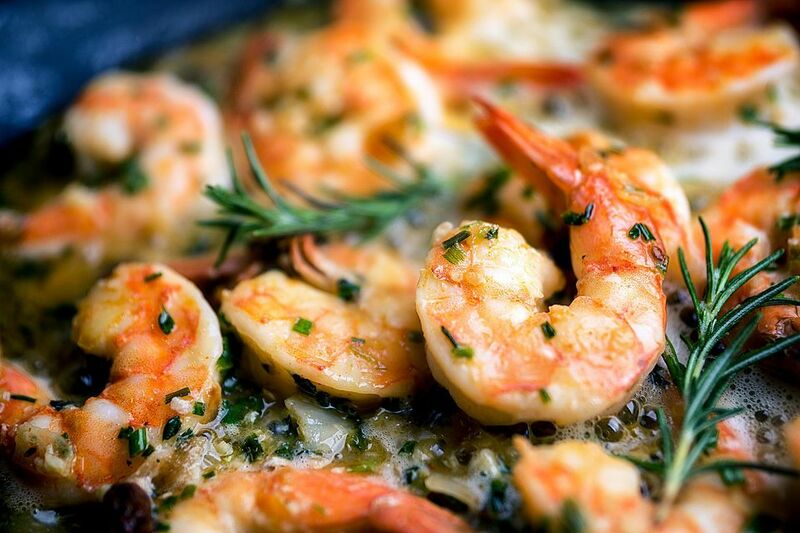 Marinating these shrimp for several hours in this rosemary garlic sauce allows them to really absorb the flavors. These shrimp are good by themselves or as an addition to any recipe that calls for shrimp, like shrimp tacos. Mash garlic and salt together in large bowl. Mix together with minced rosemary and oil and then add shrimp. Let stand covered in refrigerator for at least 1 to 2 hours. Preheat grill. Place 4 shrimp on each skewer. Brush with oil. Cook shrimp on an oiled rack for 3 to 4 minutes on each side, or until just cooked through (shrimp appear pink and are firm to the touch).